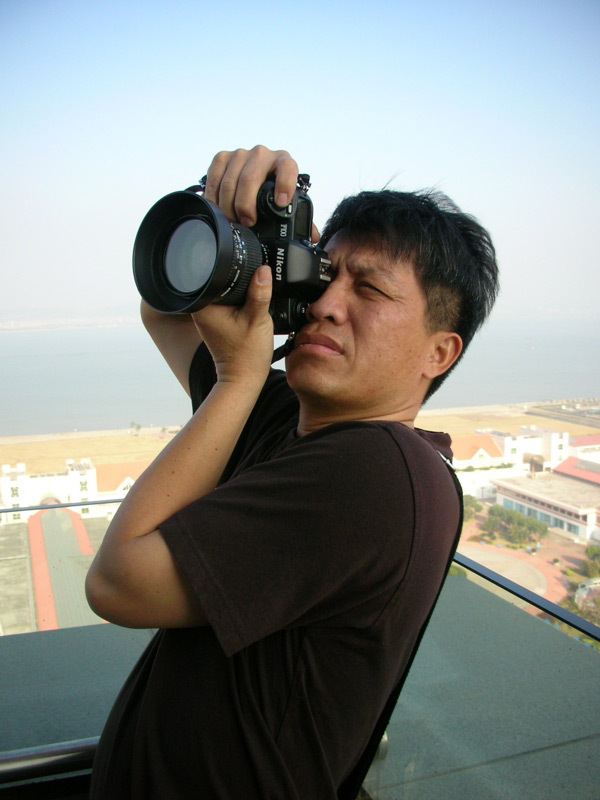 Liang Juhui’s action “One Hour Game” disturbs the “normal process” of vertical urban expansion. 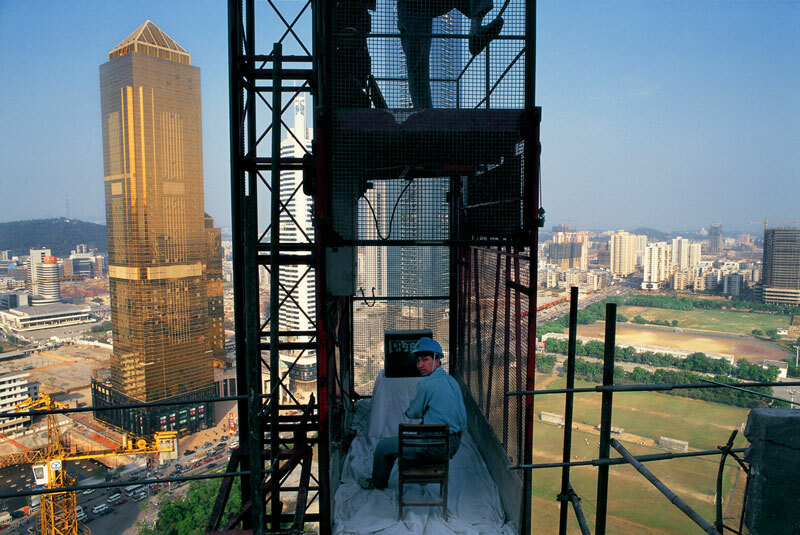 In an elevator in a skyscraper under construction in Guangzhou’s new town, he sets up a video game and plays the game for an hour while the elevator continues to move up and down, carrying workers to work. The usual path of construction is hence disturbed. What is more interesting is that, here, there is a detournement of the metaphoric significance of the elevator through the intervention of the game. The elevator has become more like a sight-seeing elevator in an amusement park than a construction tool.